More than one-third of energy is consumed in buildings worldwide, accounting for about 15 per cent of global greenhouse gas emissions. In cities, buildings can account for up to 80 per cent of CO2 emissions. The built environment is, therefore, a critical part of the climate change problem and solution. Most existing buildings were not designed for energy efficiency, but by retrofitting with up-to-date products, technologies and systems, a typical building can realise significant energy savings. Improving the energy efficiency of buildings is a priority for reducing both greenhouse gas emissions and energy costs. HVAC systems are major retrofit targets for reducing energy use in commercial buildings. Heating, cooling and ventilating taken together account for 45 to 70 per cent of the building’s energy use. In comparison, lighting ranges from 10 to 30 per cent of energy use in a commercial building. While energy use in buildings is affected by climate, building type, and building usage, optimising the HVAC system can yield significant energy savings. While most LEED advisor and energy consultants often addresses the buildings envelope (windows, skylights, roofs), lighting (interior, exterior), and controls, the heating or cooling, ventilation, air conditioning (HVAC) and refrigeration is often overlooked. This being the largest energy consumer in any business, they accept the so called EER/SEER rating. These ratings are a guideline and more often do not match the regional location. The rating is a one size fit all. 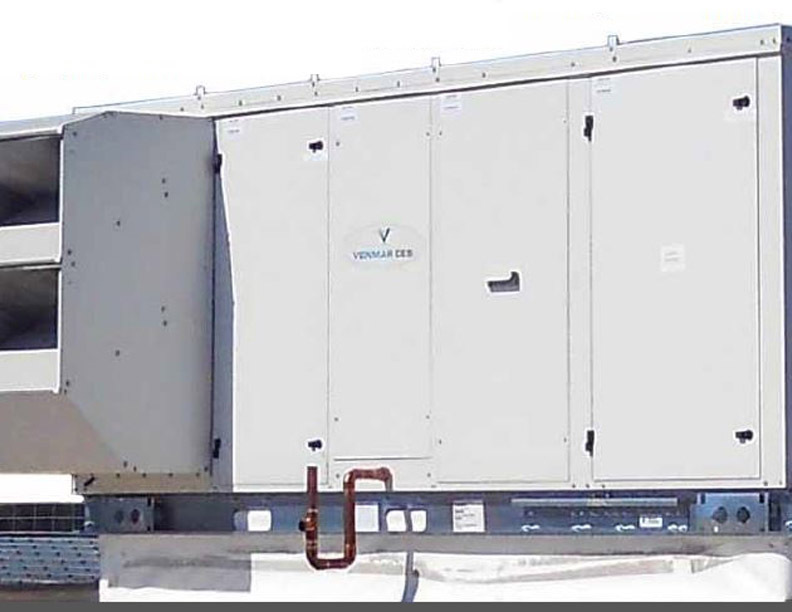 The tailored solution should be driven by a comprehensive understanding of the existing HVAC and if any, refrigerant equipment now in place, utility power consumption or expense, and characteristics associated with the building. With energy costs soaring and energy efficiency being a paramount concern, it’s probably time to assess building’s HVAC (heating, ventilation and air conditioning) system. Retrofitting an existing commercial HVAC system can be challenging, but the results are well worth the effort. Modern systems can dramatically improve the bottom line costs and energy efficiency of a building’s HVAC system. Utilising state-of-the-art mechanical systems, an expert specialises in enhancing comfort, minimising HVAC repair and improving indoor air quality. These benefits, coupled with the amortised energy and repair cost savings make retrofitting a system both sensible and responsible. The bottom line is here to help maintain a business environment that is energy efficient and cost-effective, as well as comfortable. 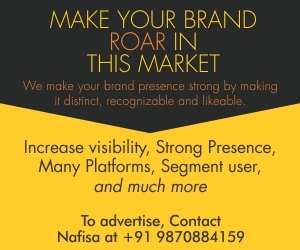 Did anyone know that a 30 per cent reduction in energy consumption can also lower the operating costs up to lakhs of rupees per year for every 50,000 square feet of space? Reducing energy consumption, every marginally, can add up to significant savings in operating costs. Poor Performance: The purpose of the HVAC system is to provide space conditioning and good indoor air quality (IAQ). To accomplish this, the system must be designed to provide heating, cooling, and ventilation while providing for control of temperature, humidity, filtration, ventilation, distribution, and noise. The system must also be durable and operate cost-effectively to provide value to the home owner. Poor comfort control due to fluctuating temperatures, uneven temperatures, or inability to reach or maintain temperature set points. High energy bills or sudden increases in energy use and run-time not due to weather but can be due to poor system efficiency. End-of-Life: Furnaces, air conditioners, boilers, and heat pumps have finite useful lifespan like all mechanical equipment. When a piece of HVAC equipment breaks down, it needs to be repaired or replaced. Even if the equipment is still operating, it is likely to need adjustment to operate efficiently as it ages. Signs of an HVAC system nearing the end of its useful life include reduced comfort, increased energy use, or both. In some cases, newer equipment options may be available that are so much more efficient that it may make sense to replace existing equipment even if it is still functional. Generally, residential HVAC equipment more than 15 years old can be assumed to be near the end of its useful life. If performance falls off or if the equipment breaks down after this period, only minor, low-cost repairs are financially justifiable. 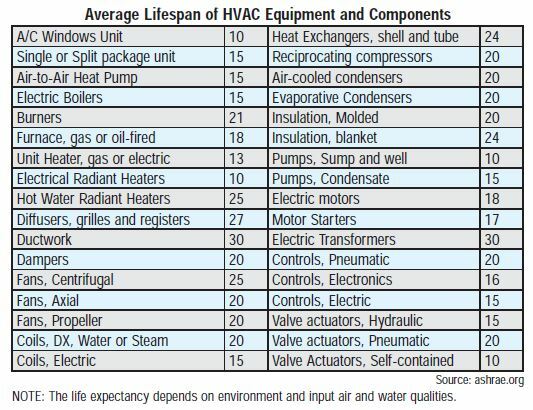 Table 1 lists average lifespan for HVAC equipment and components. 2) Install a dedicated system to independently heat and cool the new addition. Building Energy Upgrade: Some renovations improve the performance of windows, walls, and roofs, which decrease the building’s annual energy use as well as its peak loads. Existing equipment may then be oversized and may run inefficiently at these new lower heating and cooling loads, resulting in poor comfort control and energy performance. Newer equipment is available in higher efficiencies and smaller capacities, and with the capability for part-load performance, which can help with right-sizing to better match the reduced loads. Another consequence of energy-efficiency improvements that can have significant impacts on HVAC equipment is tightening of the building envelope, which can reduce natural ventilation (previously occurring through air leaks). This could result in poor air quality and moisture problems, and might even cause combustion safety issues if naturally vented combustion appliances are located within the building envelope of the home. 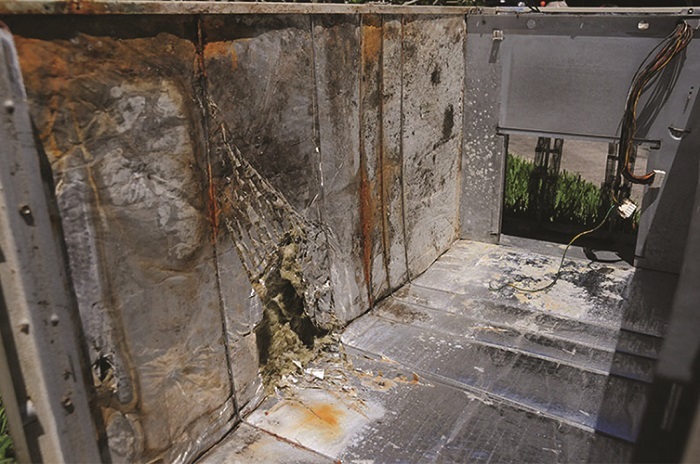 Correcting these issues may require adding venting and ventilation. Often an owner is already primed for complete replacement. For an HVAC system, that is clearly underperforming with respect to comfort and energy efficiency, it may not be necessary to conduct a detailed investigation of the existing equipment and distribution conditions to confirm that replacement is the right choice. In other cases, the choice is not as clear. 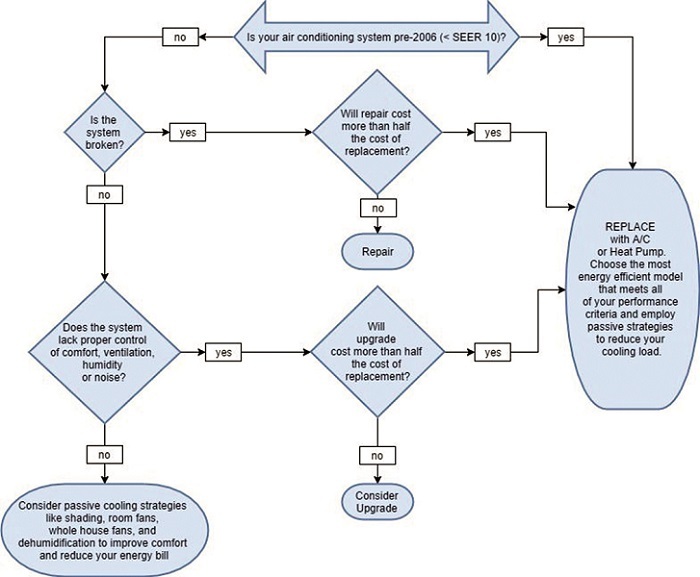 Figures 1&2 below are decision trees to help guide you through the thought processes for replacing or refurbishing heating and cooling systems. Figure 1: Should one replace existing cooling system? Figure 2: Should one add cooling to existing system? The easiest approach is to replace the system ‘in-kind’ with a more modern version of the same type of equipment. Sometimes the distribution system – typically air ducts and registers and grilles – can be re-used as is, or modified to accommodate the new equipment’s capacity and airflow. When a major component in either the outdoor or indoor unit of a traditional heat pump system or air conditioner fails, both units should be replaced because newer equipment is carefully matched for optimal efficiency and operating pressures. Ideally, the line-set should also be replaced to avoid contamination of a new refrigerant with traces of incompatible fluids. Another approach is to change to a different type of system entirely, which could offer an improved or expanded range of performance capabilities. Note that changing to a completely different system is expensive, since it requires not only new equipment, but often a different distribution system, as well. Switch from electricity to site fossil fuels for resiliency or cost reasons. Switch from site fossil fuels to electricity to take advantage of a solar photovoltaic system. Improve comfort and coverage, and reduce noise. Eliminate room-based terminal devices for aesthetic reasons. Change from an air-based system to a radiant system. Add integrated cooling capability. Add integrated ventilation capability. Take advantage of a major renovation combined with the current system’s end-of-life. Switch from central forced air to mini-split heat pump system for zoned control of heating and cooling and greater efficiency. Switch to smaller or variable-capacity systems to better meet reduced load due to insulation and air sealing improvements. If a complete HVAC system change is considered, be sure to choose the highest efficiency option that meets user’s needs and budget. Generally, a new HVAC system should always be equipped with a new, programmable thermostat. Diagnostic analysis of existing systems provides detailed performance report with cost benefit analysis for modifications. 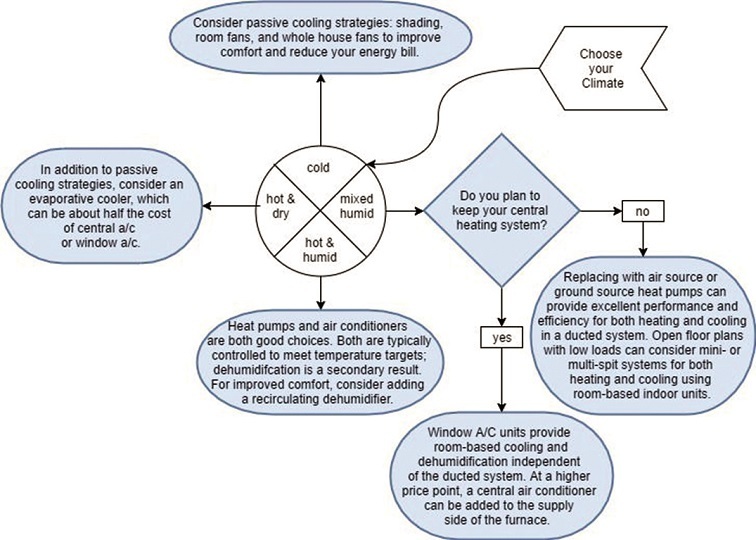 Road-map preparation and design evaluation for energy efficient HVAC system based on latest technologies and guidelines with optimised life cycle cost assessment. Evaluation of new or existing HVAC systems and perform per-commissioning and post commissioning analysis. Modern systems can dramatically improve the bottom line costs and energy efficiency of a building’s HVAC system. Utilising advanced analysis tools, experts work on enhancing comfort and improving indoor air quality. These benefits, coupled with the amortised energy and repair cost savings, make HVAC system retrofitting both sensible and responsible. The study provides all necessary inputs to make intelligent business decisions concerning HVAC equipment and facilities. Engineering Heat Load and Comfort Study: This analysis provides an HVAC load calculation to determine tonnage necessary for a job comparing actual load to existing design. This also includes a general review of the drawings and any comments on equipment selection, air distribution, pressurisation, adequacy of air duct delivery and return systems to meet the demand of the building. Air Balance and Confirmation of As-Built Mechanical Drawings: If the building’s air pressure is off, ductwork disconnected, or diffusers in less than optimal areas, the specialist can review as-built mechanical drawings and redesign ductwork and diffuser conditions to make sure building is balanced, pressurised correctly and air flow is optimised for a comfortable experience. Energy Benchmarking Report and Energy Audits: Reduce user’s carbon footprint and achieve energy efficiency. Simulate and analyse the energy costs per square foot, energy usage index and the carbon footprint. Actual site conditions are evaluated examining temperature, relative humidity, carbon dioxide levels, noise and lighting levels. Develop a road-map and energy strategy to identify unique opportunities to reduce operating and energy expenses. Update operational and validated status of systems or equipment to be replaced, retired or salvaged.